Spirals & Spatulas: Cardstore Giveaway! Have you ever stood in the greeting card aisle in a store, picking up card after card, trying to find the one with just the right message? On some you like the design on the front, but the words aren't quite right. On others, everything is perfect except for one little sentence that's just odd. When you finally find one with a perfect message on the inside, it may not be pretty on the outside. So you end up spending ten minutes reading card after card until you find one that's good enough and call it a day. Jeff and I have big families (lots of birthdays, anniversaries, Confirmations, etc. ), so I do that way too often. But the Internet has a solution! 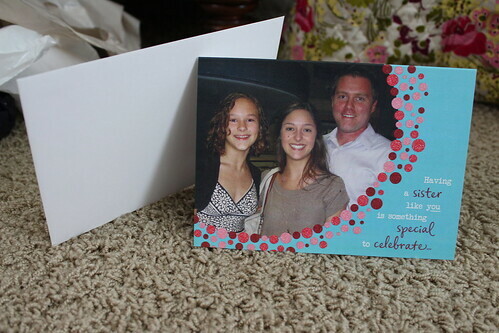 I love the new trend of personalized greeting card websites that are popping up. I wrote about Treat a while back, and today I'm back with another one - Cardstore! 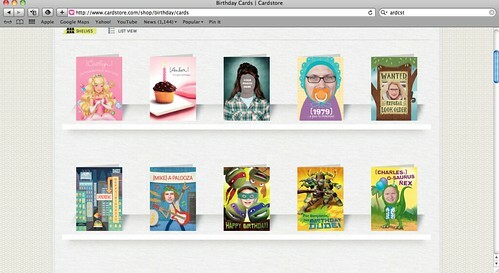 These websites allow you to choose from a giant gallery of cards (without ever having to go to the store! ), and then you can edit and tweak them to make them just right for your loved ones! Add in photos, names, personalized messages, etc. I gave my dad a card from Treat for Father's Day, complete with photos of him with his kids over the years, and I think he liked the card better than his actual gift! For Mother's Day, I was finally able to get my Gran-Mom and Gran cards that said "For my Gran-Mom" and "Gran" rather than "Grandma" or "Grandmother." 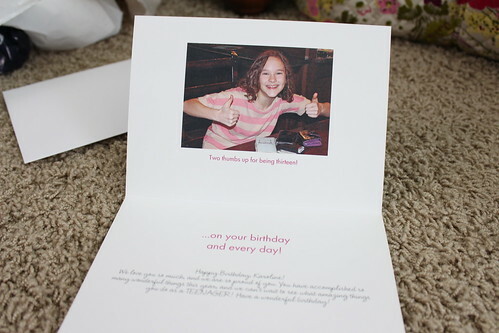 Personalized cards = so fun! Cardstore offered me a free card so I could try out their website as well, and of course I took them up on the offer! 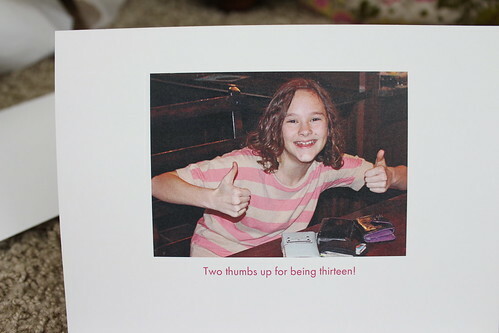 I ordered a birthday card for my little sister, Karoline. Her birthday is still a while away, but I don't think she reads the blog, so we're safe! She's going to be a teenager! 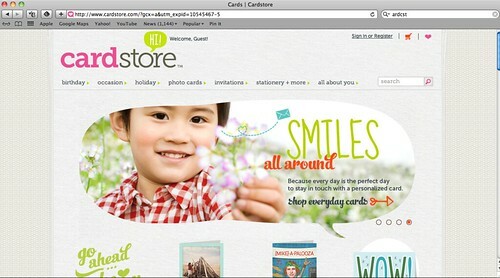 Cardstore had lots of cute designs to choose from, and the website was easy to use. Plus they have a whopping 15% cashback with Ebates! 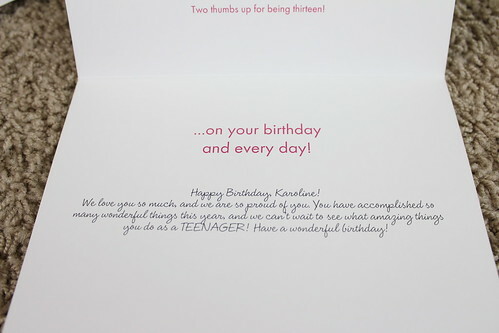 The print quality and paper thickness is great, and I think Karoline will love her card! I had mine mailed to me, but you can also have them mail the card for you directly to the recipient! 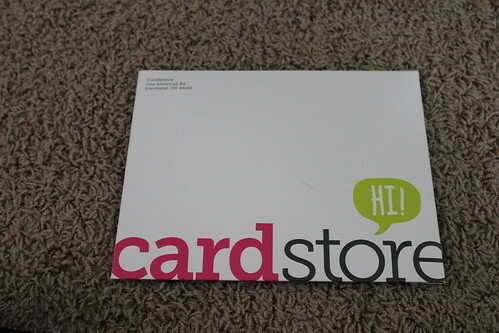 And now for the fun part... one of y'all gets to win a free greeting card from Cardstore (free shipping too!)! Use Rafflecopter to enter below! I would give one to my mom for her birthday! I would live one to my Mother-in-Law... she is the type of person who sends cards for every holiday and every gift she receives. I'd give it to my mother in law. My friend Becca -- her bday is coming up soon!